Why does my order show that it is cancelled? In most cases, we will make an attempt to contact you before canceling your order. Why haven't I received an email confirming my order? When your order has successfully processed, you will see an order confirmation number on the receipt page. This number, which is also emailed to you when your order is placed, confirms that your order has processed successfully. If you didn't receive a confirmation, please contact one of our customer service reps, who will place the order for you. If you never received a confirmation email from us, please check your spam filters or with your ISP, to ensure that you are allowing emails from our website. Most packages are received within 2-7 business days after the order is placed. If you have waited more than 7 days for your order to arrive, please contact our customer service department at (877) 597-3802 and ask them to track the order for you. If you have not received your order within 15 business days from the day your order was shipped, please contact our customer service center. We will provide you with a USPS claim form, and once the claim form is completed and returned to us, we can reship or refund your order. What can I do if I ordered the wrong cartridges? If you realize immediately that your order is incorrect, please call our customer service center at (877) 597-3802. If the product hasn't already shipped, we will help you cancel the original order and place a new one. If your order has shipped, or you receive your order and realize it is the wrong product, please contact our customer service center to make arrangements to return the order back to us for a full refund. How do I receive a return authorization (RMA)? In order to receive an RMA, please contact our customer service center at (877) 597-3802. One of our representatives will be happy to initiate the process for you. Returning your product without an first obtaining an RMA from us may cause a delay in processing your return and issuing any refunds. How do I get my new ink cartridge to print? Sometimes cartridges with attached print heads such as HP, Lexmark or Dell don't initially print. We quality test each cartridge before it leaves the factory so lack of ink is not the problem. Sometimes the print head of the cartridge doesn't have any ink feeding into it - this happens because cartridges are kept flat or upside down before being used and the ink settles away from the print head. Open the box and stand the cartridge upright for a few minutes and then get a folded up damp paper towel to sit the print head down onto. Hold the cartridge down to the damp paper towel for three minutes to pull the ink out of the print heads, priming them and getting them ready to print. Where can I find Epson refill kits? Epson printers do not use disposable print heads on their cartridges and the high quality print heads are incredibly sensitive. For that reason we do not endorse or sell refill kits for Epson printers. Why didn't my cartridge print the amount of pages that what was quoted online? Instead of tracking yield by time (which is an unreliable indicator of yield), the cited yield for ink and toner cartridges is given at 5% coverage. If you are printing photos, legal size paper, letters, web pages or doing any kind of graphics this will cause the yield to drop greatly. Make sure you are utilizing any page count your printer has, count reams or boxes of paper you use with each cartridge, or refer the user's manual for instructions as better judge of yield. 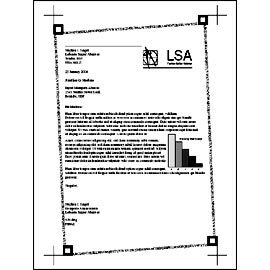 If you print only memos then you should reach the manufacturer's stated yield specifications. In June 2004, the ISO/IEC 19752 standard method for testing page yield was introduced to create a comprehensive process to test page yields. This standard method means that from now on all printer manufacturers and cartridge manufacturers will be quoting ink and toner cartridge yields using the same testing process. On the right you can see the sample page that is used to test yield. If your documents have more page coverage you will get drastically lower page yields from each inkjet or toner cartridge. What do the error messages mean that I get when I install my new cartridge? * A message asking you to replace your black/color inkjet cartridge. * The cartridge light blinks on the printer. * A message asking to check your black/color inkjet cartridge. * A message that indicates the cartridge is not seated properly. * A message that indicates there is no cartridge installed. * A message that indicates your cartridge is empty. A lot of times this is caused by the chip on the cartridge not making direct contact with the printer sensors. All you need to do is open the area of the printer where your cartridges are installed. Remove the problematic cartridge from its designated port and reinstall the cartridge to ensure it is properly seated, secured, and that the chip is lined up with the printer sensor. Close the printer cover and proceed to turn off the printer. Wait a few a few seconds and restart your printer. Proceed to print a test page and you should be good to go. If this problem still occurs please call our customer service department at (877) 597-3802. This is caused by the cartridge not making proper contact with the printer. This may also be caused by unclean contact points on the print head. Open the area where your cartridges are installed and remove the problematic cartridge. Then completely power down your printer for 2-3 minutes by unplugging the printer from its power source. As you wait you can clean the print head on the bottom of the cartridge with a cotton swab dipped in alcohol. Then power your printer back up, reinstall your cartridge making sure it is seated correctly, and that it’s in its designated slot. Your cartridge should be recognized and ready to print. If this problem still occurs please call our customer service department at (877) 597-3802. If you are still unable to get rid of the error message please call our customer service department at (877) 597-3802. The chances of actually receiving an empty cartridge is very rare - all of our cartridges are inspected before packaging to ensure that the cartridge was filled with the correct amount of ink. Many times an empty cartridge reading is caused by the cartridge not being properly positioned in its designated slot. Make sure that your cartridge is snapped into place and that it is seated correctly and securely. If you install your new cartridge before you let the printer driver reset there is a chance that the printer may think you are still using the old empty cartridge. One way of fixing this issue is to reinstall your cartridge and click on the install new cartridge option; you may have to refer to your printer’s manual for further instructions. This will indicate to your printer that a new cartridge has been installed which will then prompt it to reset the internal page counter. This should eliminate that message, if further assistance is needed please call our customer service department at (877) 597-3802. Can I mix and match the colors that come in a pack of cartridges to try and get more of one color than others? No - you should never mix the cartridge sets. Is it possible to get dried ink out of my inkjet print head and still use the cartridge again? Place the clogged cartridge in about 1/4 - 1/2 inch of warm water for a few minutes. When ink starts to slowly leak out take the cartridge out of the water and dry it using a soft cloth to "Q-tip." Then place it back in your printer and run the print head cleaning utility that comes with your printer software. You may have to run this 2-4 times before printing quality is reestablished. If your print head is destroyed, as can happen, you will have to buy a cartridge as the print head cannot be repaired. Why doesn't the cartridge I received fit like the one that's already in my printer? Most of our remanufactured cartridges are sent to you equipped with a protective clip that must be removed before installation. Our goal is to protect the cartridge from any possible damage, and is an L shaped clip that runs along the side of the cartridge. Once you open the package and carefully remove the protective clip as well as any protective tape that is covering the print head of the cartridge you should be able to fit the cartridge in the designated spot. How should I store my cartridges? You should always store your cartridges in room temperature and in an upright position. What does the letter at the end of the HP inkjet cartridge part number mean? The letter at the end of HP ink cartridge numbers signifies the volume. Most HP cartridges only have one type such as the #56 which you will also see shown as the C6656, C6656A and C6656AN. HP sometimes shows the cartridge as the 56A or C6656A, but the full part number is C6656AN. All versions are the same product with the same ink volume. Only if the first letter after the numbers was different would it be the same cartridge with a different volume. Other first letters at the end such as 51645G and 51645A are the identical cartridge, but with different volumes. The G is the free starter cartridge that comes with a printer and the A is the regular high volume cartridge that is sold in stores. When our cartridges are manufactured we always fill the cartridges completely. So, regardless of the letter at the end of part number or the letter you are used to order you will always get a high volume cartridge for us. What does it mean to use a remanufactured inkjet cartridge? We use professionally remanufactured inkjet cartridges that are original manufacturer's brand inkjet cartridges, have been through one cycle of service, and have been recharged. We clean the print head nozzles and every inkjet cartridge thoroughly before filling the cartridge with the same ink formulation, checking for the correct internal atmospheric pressure, inspecting for any possible shell leakage, testing the operation of all electrical circuitry and finally run it through an actual print test. If the cartridge passes our rigid standards, it has been remanufactured! How do I find ink for my printer? You can search for your ink either by product name or by the type of printer you have. Using the navigation tabs at the top of the site, click on the type of ink or printer that you are looking for and then choose the brand. Then choose the type of printer you have, or use the pull-down menu on the right to choose the model number of the cartridge or toner you want. What is the shelf life of compatible brand ink cartridges? They have a three year shelf life. Does Inkcartridgespot.com buy back empty cartridges? While we do not require customers to send in empties as an exchange for our low prices, we do accept some empty cartridges and pass them on to our recycling partners and suppliers. It helps keeps our costs down and retail prices low as you can see from our advertised prices. If you wish to help recycle cartridges please send us your mailing address at recycle@inkcartridgespot.com and if you have inkjet or toner cartridges that we can recycle, we can have a prepaid recycling label mailed out to you. We cannot take every type of cartridge back, so please specify the type, cartridge number, if it is an original empty OEM cartridge or a remanufactured empty cartridge, and the quantity of empties that you have. If they are remanufactured empties, please collect around eight to ten cartridges and we can mail out a label right away. Your prepaid recycle information should arrive in the mail about a 10 days after we respond to your email. Will my printer warranty be voided if I refill my cartridges? It is common to hear our customers worry that the use of compatible cartridges in their printer is going to void their printer's warranty. The reality is that it will NOT void your warranty! What follows is a partial quote from the Magnuson-Moss Warranty Improvement Act, which protects your rights and your warranty. 2) the Commission finds that such a waiver is in the public interest. More simply put, this means that your printer warranty cannot be voided just because you choose to use compatible products unless the manufacturer can prove that the compatible product caused direct damage to your printer. No company, associate, salesperson, or service technician can deny you service or warranty work that would otherwise be covered under a warranty program simply because you use a compatible product. Your consumer rights are protected by the United States Government. State laws require that we charge applicable sales tax on orders shipped to addresses in the state of Florida. Yes, we offer UPS 2nd Day and Overnight shipping. Second Day shipping options will be available during the checkout process, however if you would like to get your package delivered Overnight you can get a shipping quote by calling us at (877) 597-3802 as this option isn't available online. Where can I see if your website is secured? Look for our McAfee Secure seal - our site is tested and certified daily to pass the "McAfee Secure" Security Scan. In order to address any concerns about possible hacker access to your confidential data, and the safety of visiting this site, the "live" McAfee Secure mark appears only when this site passes the daily McAfee Secure tests.